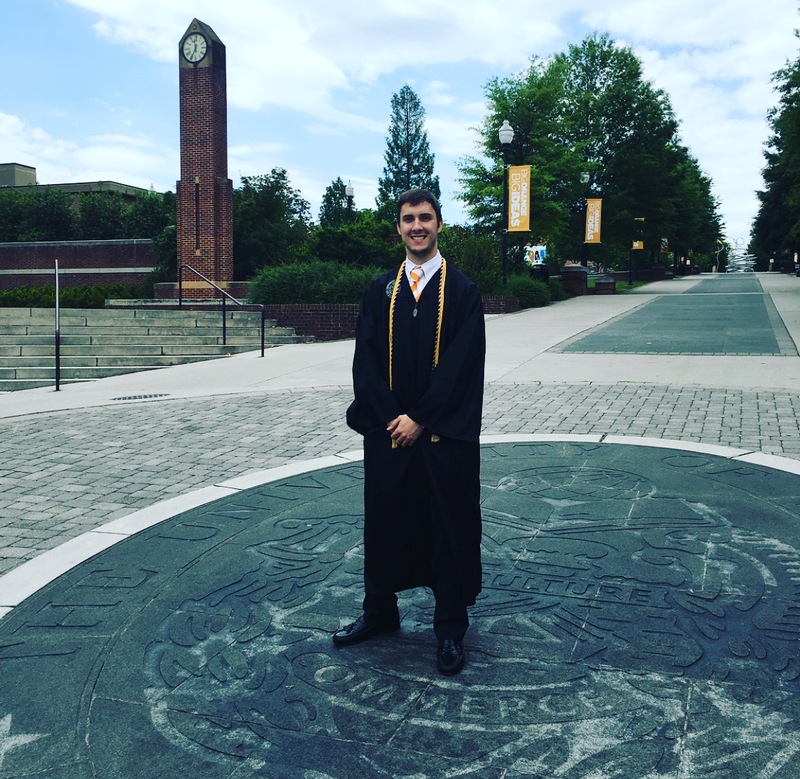 Over the Weekend I traveled to my hometown of Knoxville, Tennessee to visit with family and celebrate my little brother's college graduation. He graduated with a degree in Political Science and Economics, and will be heading to Nashville next weekend to move into his new apartment. He'll be working in politics and received a dream job offer. I'm such a proud big sis!! While I was home I also got to see my best friend Lindsey and her baby, Rossie-Cate! This was the first time I met Rossie, as we usually FaceTime since they live in Mufreesboro and I live in DC. 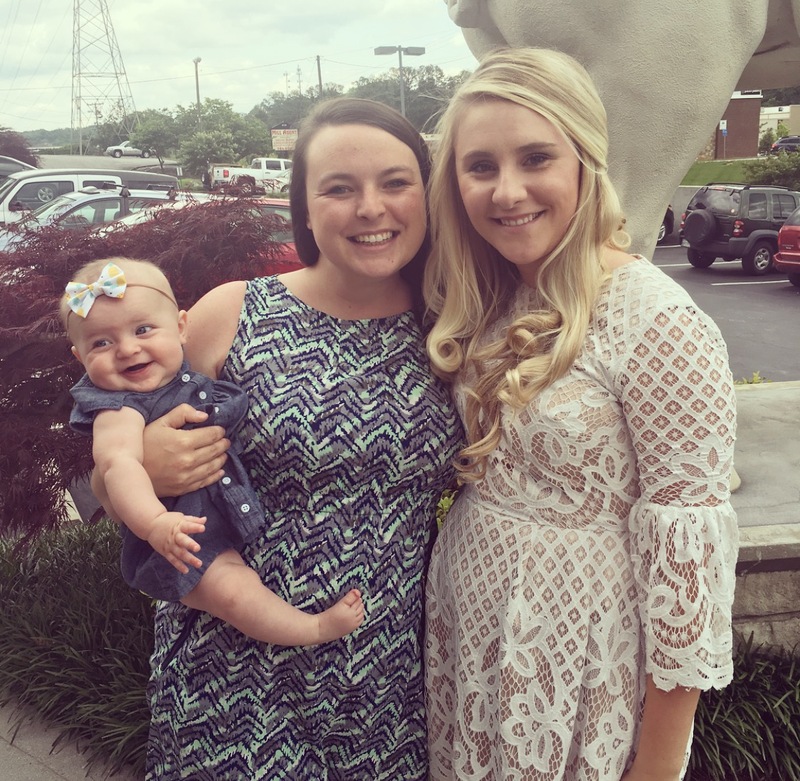 I always love seeing Lindsey and it was so nice to finally meet her sweet baby!! The family and I ate a lot, shopped till we dropped on Friday, and spent a lot of time at the house! 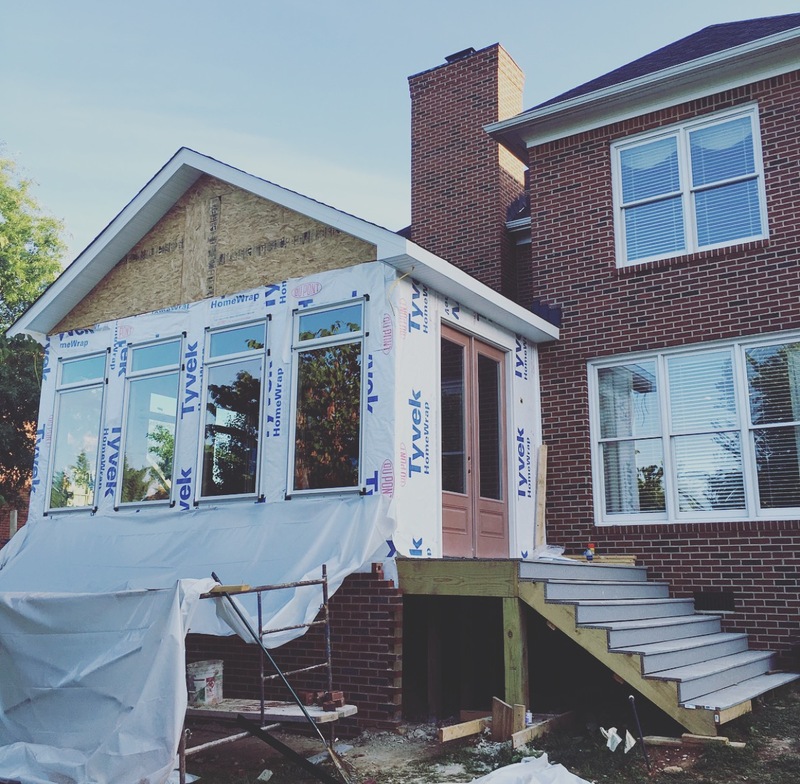 Mom is adding a new sunroom onto the back of our house. I showed a few sneak peeks on snapchat, but can't wait to share a full reveal on the blog later this fall (when I am home next to take photos). I also checked out my Dad's flower and vegetable garden. I'm so in love with the home they've built and always love coming home to see what they've added on next. It was a wonderful few days home with my mom, dad and brother. I wish it was easier to get back to Tennessee more often, but nine hours is far to travel more than a few times a year. Thankfully football season is right around the corner and I'll be back for the UT vs. Florida game in September! How was everyone else's weekend?! Checkout the gorgeous sunset that welcomed me back to DC last night!! It was a perfect timing photo as we landed! 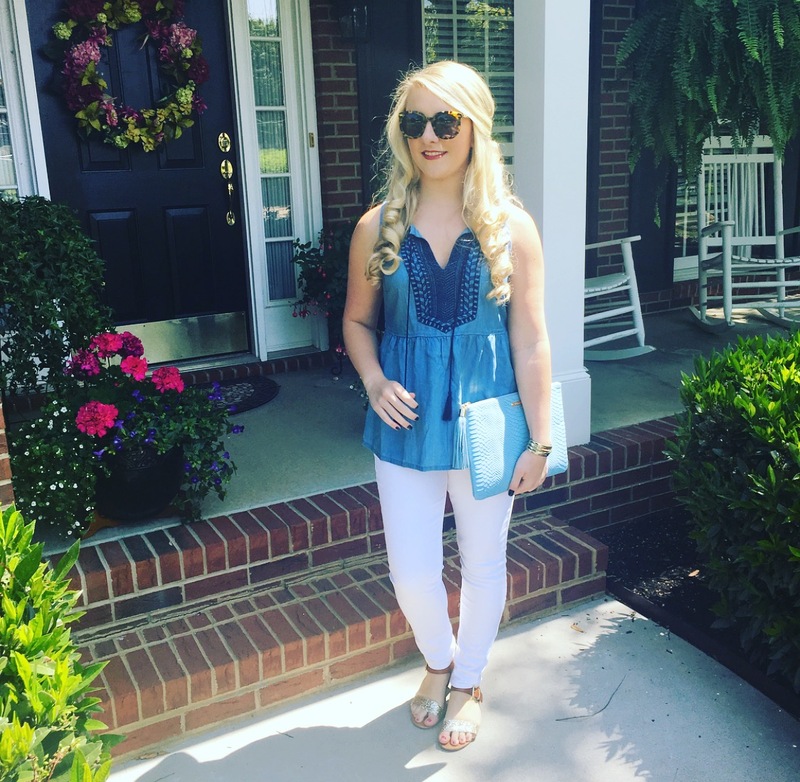 Love your chambray top! So cute. Congrats to your brother. What a fun weekend! Totally agree that it's always nice to have some quality family time. I'm lucky mine are only an hour away! Ahh, you definitely are! You must go home all the time. That's so nice!! Thanks so much Abby!! It's one of my favorite dresses :) hope you're having a great week!